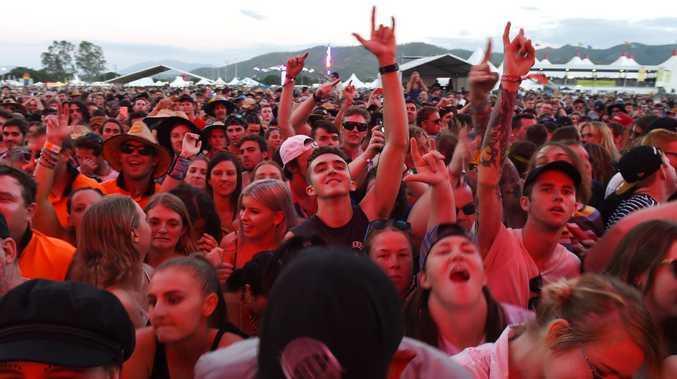 THERE'S a powerful weapon against drugs that doesn't rely on pill-testing or shutting down music festivals. This weapon is effective because it comes from the only source young people give much credibility - their peers. Social pressure can be a force for good and it's the best way to influence your teens; the clever way to get them to say no. It's an education strategy that's gaining momentum globally. Your kids are good. They're so much better than you were at their age. It's a fact. Hard to believe, I know, in the wake of the second dance party scandal in as many weeks. After the Defqon. 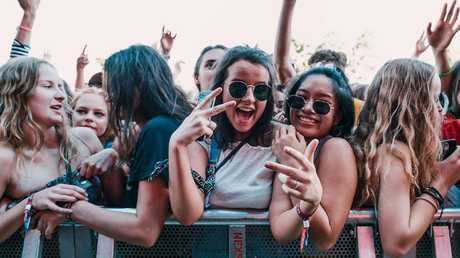 1 dance party at Penrith which claimed two young lives due to drug overdose, Sydney's Listen Out Festival at Centennial Park was also tainted by drug issues. Two men from Wyong were stopped with knuckledusters, cannabis and a stash of 199 MDMA tablets on their way to the festival. Five others were charged with drug supply, and a further 150 people for possession. No level of drug use is ever okay, but against an attendance of 34,000, today's young people, as a group, are straighter than their grandparents who might have attended music festivals in the free-spirited 1970s. The national drug strategy household survey is the best broad measure we have on drugs use and it confirms that young people smoke significantly less than people did 20 years ago. They are far less likely to binge drink. They take fewer drugs. But no level of drug use is good, and kids are still dying at dance parties. So what to do? Does "just say no" really work with a teenager or any child? Even with best of intentions, will your teens, genetically programmed to take risks and be vulnerable to social pressure, remember your advice when surrounded by friends? A group of young women gathered on the fringe of the dance festival boundary. They arrived fresh-faced and in sensible dresses. With parents safely away, the transformation began. Off came the camouflage of baggy clothes. In skin-tight dance attire they painted their faces and appeared to wash down a pill each with a bottle of alcoholic cider. 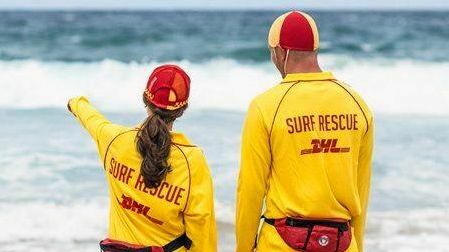 There is a false sense of safety in numbers when it comes to risky behaviour. Did the girls trust what they put in their bodies? 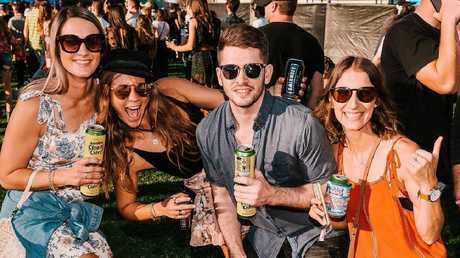 At the Groovin the Moo festival in Canberra this April, the STA-SAFE group conducted pill testing. In tablets sold as the drug ecstasy they discovered two highly toxic chemicals, including N-Ethylpentylone (ephylone), which is a stimulant responsible for a number of mass overdoses around the world. Other additives included paint, toothpaste and other chemicals. For the girls at the park there was also the risk that even if the tablet was pure, their bodies, unprotected from the sun and crammed into a bouncing, sweaty mosh pit, will become dehydrated and will not cope with the stimulant that is coursing through their system. That's something that pill-testing will never fix. There is also a chance they will make poor choices under the influence of those drugs and end up doing things they'll later regret. When their parents dropped them off I'm sure they would have said, "Have fun. Stay safe. Don't take drugs." Changing the narrative around drugs might make an even bigger difference. It's important for young people to realise that most of their peers don't take drugs. It is not the norm. Young people's actions are often based on misinformation. If your 16-year-old daughter thinks most people take drugs at 18, she will be more likely to take drugs at 18. Alternatively, if she knows that only a tiny percentage take drugs, she is less likely to make that poor choice for herself. Life Education commissioned a report by ACER (Australian Council of Education Research) to determine whether this concept of "social norms" had any merit in the classroom. If young people have more realistic perceptions about the levels of risky behaviour and attitudes towards these risky behaviours amongst their peers, is that likely to reduce the likelihood of them engaging in such risky behaviour? The answer, based on a broad literature review, was "yes". Myth-busting and positive reinforcement is gaining momentum in drug and alcohol education, as well as helping with behaviour change around bullying. If we start telling our young people how great they are, if we start talking about drug consumption in real terms; in small percentages, if we talk more about what the "cool" kids are doing we will embolden our children to make choices that are much healthier and safer. Those girls doing ecstasy at the dance party are not the norm across broader society. The truth is only 1.8 per cent of females over the age of 14 tried ecstasy in the year of the drugs survey. That's a tiny fraction of the overall population. Kids don't listen to the government, and they don't always listen to their parents. They'll do what's cool. And in 2018 - it's actually not cool to do drugs.